Blueberries are increasingly popular fruits with well-documented health benefits. 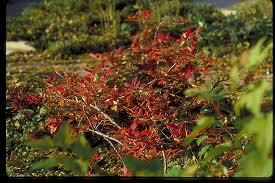 Blueberry plants are also exceptionally handsome bushes worthy of planting in the home landscape. The fruit can be eaten fresh, made into jams and jellies, or frozen for out-of-season use. Plants have a profusion of white blossoms in late spring, and the leaves are glossy green in summer and have outstanding red foliage in autumn. Blueberry plants are long-lived (30 to 50 years or perhaps even longer), so considerable time and effort in preparing the planting site is a wise investment. Blueberry growing presents a challenge for most gardeners in northern states because the plants need special growing conditions. They require very acidic, well-drained soils, which are not common in most American landscape situations. When the initial pH is less than 7.0 (slightly acidic), most soils can be amended to make them suitable. 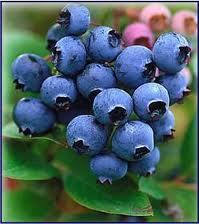 Blueberry plants grow best in acid soils (pH 4.0 to 5.0) that are well-drained, loose, and high in organic matter. If your soil’s pH is 7.0 or above find something else to grow. This map shows where there is predominently acidic soil the northern U.S.. Michigan also has acidic soil in its southwestern corner.